cats | Random Thoughts: If not now, when? 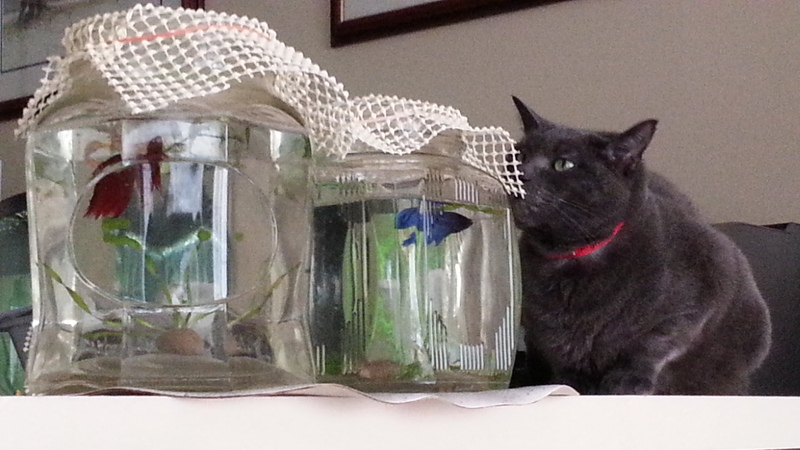 Fog hasn’t figured out how to get into the aquarium, but he’s trying. I have two grey cats. 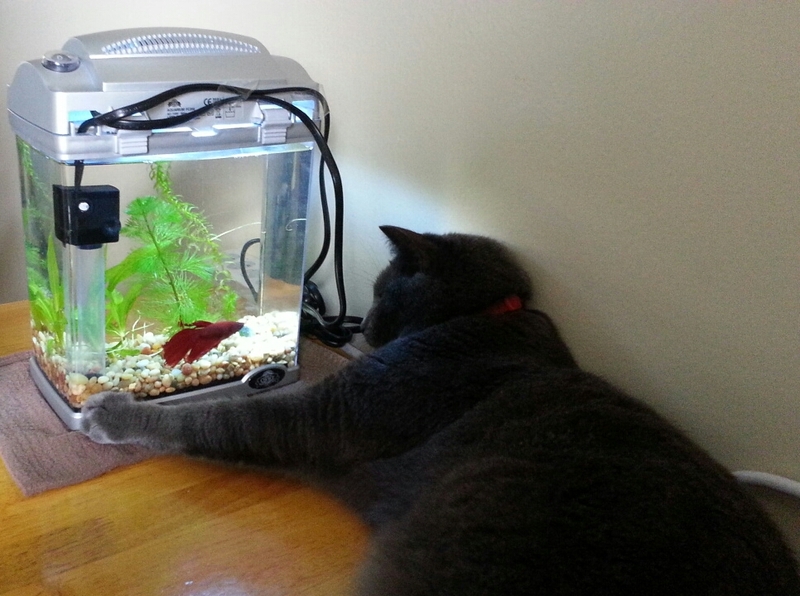 The more impulsive one wants to know what these “fish” things are. That’s why I have covers on their tanks! 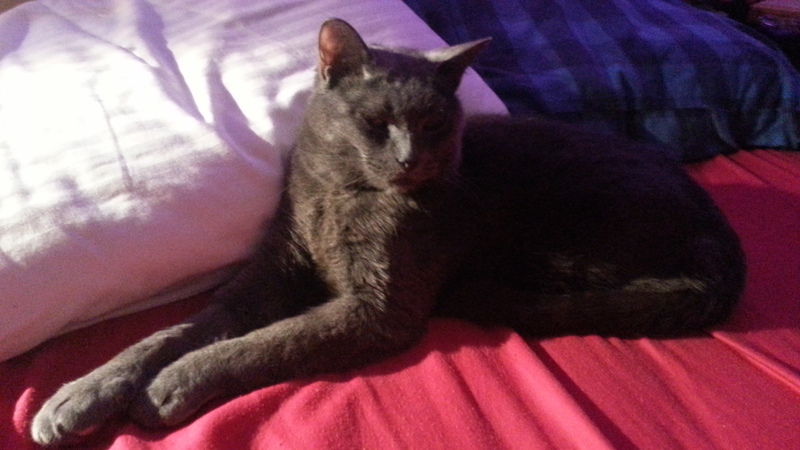 Here’s one of our grey cats, the big one, snoozing. 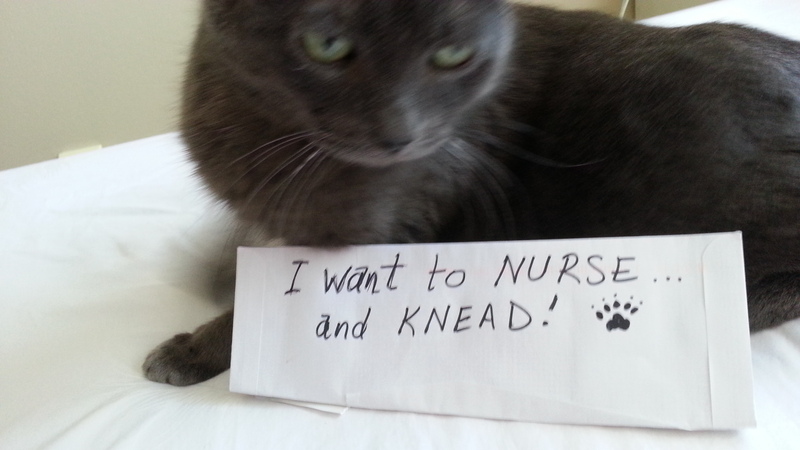 Encouraged by a spate of confessing pets on the Web, I made a ‘confession’ for my cat. After his serious illness last year, he often reverts to kitten state for reassurance. 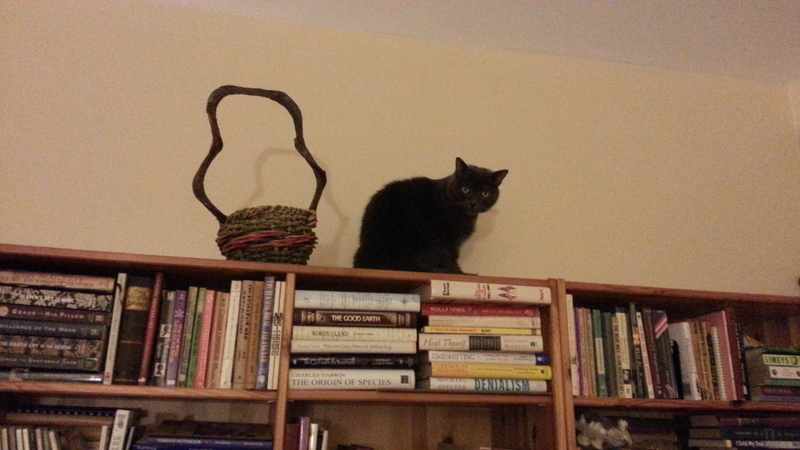 My cat has recovered his sense of balance after his illness, enough that he jumps up to the top of the wall unit from a nearby low wall. 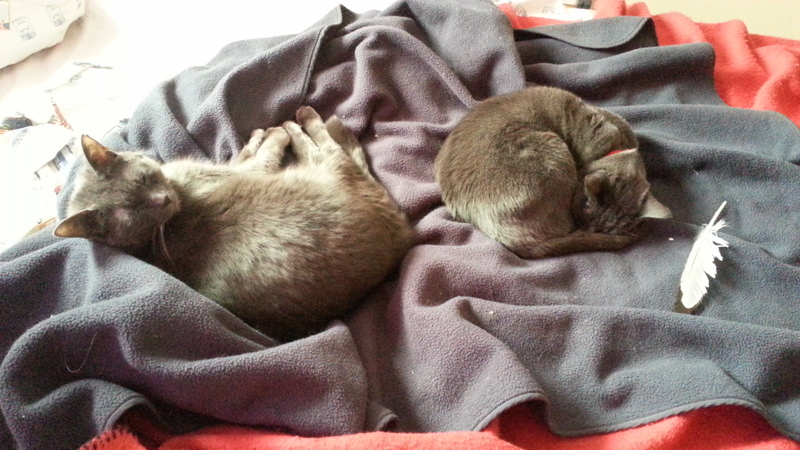 Our grey cats were sleeping together on the bed.